We are doing some prep on the road, there are no closings and only short delays. On Monday June 25th, paving will starting at the south end of the road, I do not see any closings but short delays, the plan is to try to get around 5-6 sites done. PLEASE NOTE HONOCO WILL CLOSED TOMMOROW, AUG 23 FROM 9AM TILL ABOUT 4PM, WE ARE MAKING ARRANGEMENTS TO HAVE THE ROAD OPEN AT SEVERAL TIMES DURING THE DAY PLEASE CHECK YOUR EMAIL AND THIS POST FOR THOSE TIMES, DEERTRAIL IS NOT OPEN AND THE WORK EFFECTS THOSE SOUTH OF 1719. 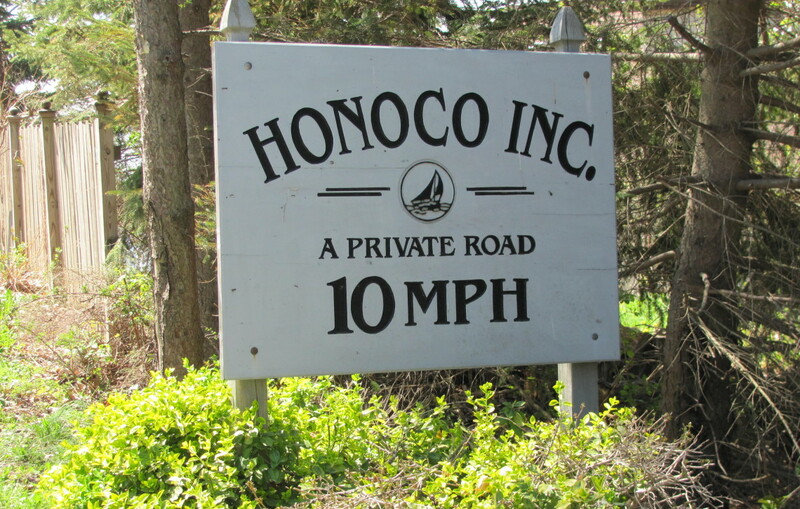 The Honoco Inc. Annual Meeting, originally scheduled for May 20th, has been changed to Saturday, May 27th at the Ledyard Town Hall. The meeting will begin at 11am and end at 1pm. We strongly urge meeting attendance this year. Thanks for your consideration. Please note the road will be closed on May 10th from 10am to 3pm at 1765 Honoco. Deer trail will be open and please respect speed limits on Deer Trail.